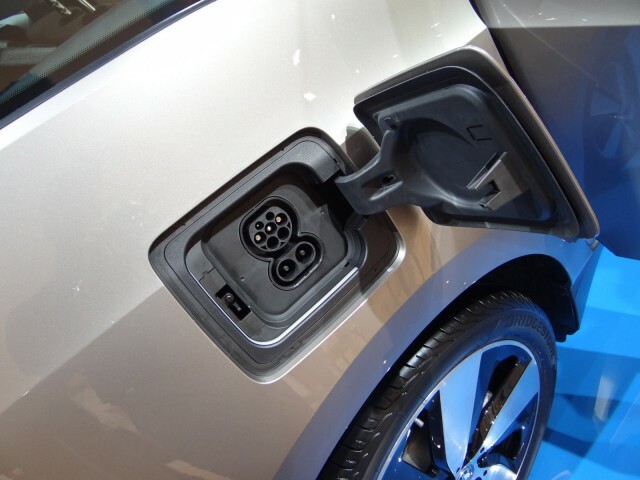 With charging stations still scarce in many areas, "range anxiety" is a continual concern for electric-car owners. Portable generators can provide electricity where this is no infrastructure, so could one rescue a stranded electric car? GadgetReview decided to try with a 2014 BMW i3, both for the sake of convenience and as a cheaper alternative to the range-extended i3 REx, which costs nearly $4,000 more than the all-electric model. For a recent video on the BMW plug-in car, GadgetReview rented a generator at Home Depot, attached the i3's charge cord, and left to see if this improvised method could recover any range. Sure enough, after a half hour of charging in a parking lot, the i3 had gained four miles of range. While a small, portable generator may take awhile to fully recharge an electric car's battery pack, this demonstration shows that it is technically possible in a pinch. However, that's not the only thing the testers tried. Seeing that the generator could charge the i3, they loaded it into the back of the car to see if it would work as a low-buck range extender. The charge cord was threaded through one of the car's windows, along with a hose to funnel exhaust out of the cabin. Of course, driving around if a running generator and its unprotected gasoline tank strapped to the cargo floor is inadvisable, but the driver didn't make it that far. The BMW i3's software won't let the car move with the charge cord plugged in, and the gasoline fumes became unbearable almost immediately. Considering those results, i3 buyers should probably stick with the range extender supplied by the factory.